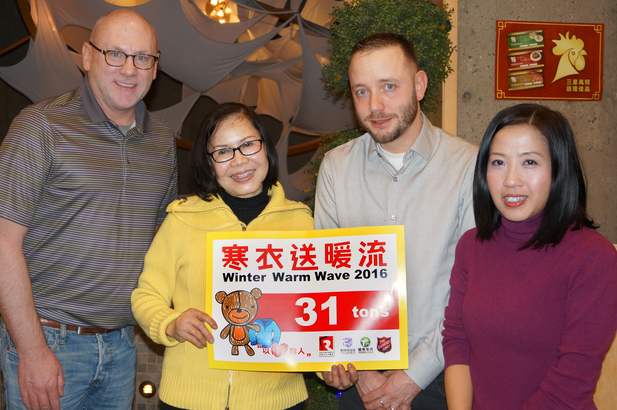 Fairchild Radio's signature community event "Winter Warm Wave" has just announced its 2016 results. 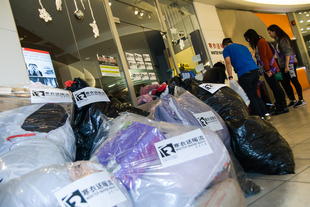 For roughly 6 weeks from Nov 21, 2016 to Jan 2, 2017, the campaign has collected 31 tons of used clothing items at various locations in Greater Vancouver. The figure, though not the best in its 23-year history, is still impressive considered the city has endured heavy snow and icy roads for weeks on end this winter. 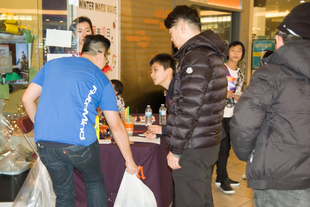 Fairchild Radio looks forward to teaming up with Salvation Army again to organize "Winter Warm Wave" in November 2017.